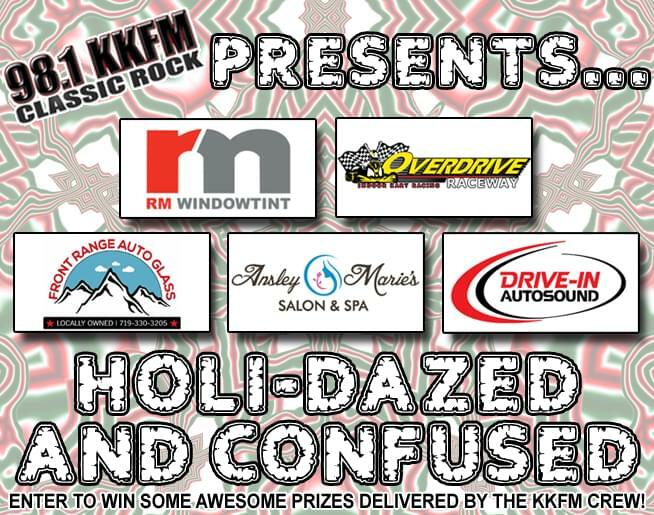 98.1 KKFM has teamed up with RM Window Tint, Overdrive Raceway, Front Range Auto Glass, Ansley Marie’s Salon & Spa, and Drive-In Autosound to give our listeners a shot at getting some sweet Christmas gifts from these guys — hand-delivered to the person of your choice by the KKFM crew! Fill out the form below by 11:59 p.m. on December 16th, 2018 for your chance to win. LISTEN TO 98.1 KKFM ALL THIS WEEK TO SEE IF SOMEONE PICKED YOU TO RECEIVE A PRIZE! One entry per person. You can only select one prize during your entry. Winner of each prize is randomly chosen from all valid entries for that prize. Winners will be contacted on Monday, December 17th by email, so please reply ASAP if you get one from us!